So anyway, getting back to the point of this post, I won’t be making any resolutions this year but I am going to be setting myself a challenge. Since I discovered my love of photography I have been wanting to try some sort of photography project and one that seems to be pretty popular is Project 365 whereby you take a photograph every day for a year. There is also a Project 52 (a photo a week) and a Project 12 (a photo a month) but I like the idea of committing myself to taking a photograph every day. Having done a bit of research (aka spending hours on Pinterest) I have gleaned a few tips and tricks for ensuring the success of a Project 365. 1. Having prompts helps to prevent ‘photographers block’. 2. The photos don’t have to be perfect. Life isn’t perfect (life with kids even less so) and it’s ok if the photos show that. They’re simply capturing a moment. 3. Set a time each day for when you’ll take a photo for the project. I know that personally I am Queen of the Procrastinators and for me there’s really no time like ‘later on’. Setting a specific time will ensure that I won’t get to 10pm having forgotten to take my photo for the day. 4. It’s not the end of the world if you miss a day. Because sh*t happens! 5. Take a camera with you wherever you go. It doesn’t have to be a DSLR, your camera phone will work just as well. I have toyed with the idea of turning this challenge into a linky but the realist in me figures that a) I’d feel a bit rubbish if no one linked up and b) running a linky is more work than I can deal with right now. So instead I’ll just be posting the prompts at the beginning of every month and if people want to join in they can but it won’t be a formal sort of thing. Without further ado here are the prompts for January. I’d love to know if you plan on doing something similar in 2015. Let me know in the comments if you’ll be joining me or perhaps you’re planning a Project 52 or even a Project 12. …4:07 odp.To, Å¾e nenÃ­ vylouÄen ZDALEKA neznamenÃ¡, Å¾e je prºtÃiostavnÃ­ – to pÅ™edevÅ¡Ã­m. Na obu stranÃ¡ch se toho nakecalo celkem dost a vidÃ­m, Å¾e i Vy pouÅ¾Ã­vÃ¡te Ãºstavu jak se VÃ¡m to zrovna hodÃ­. TakovÃ½ch lidÃ­ je vÃ­c (na obou stranÃ¡ch). 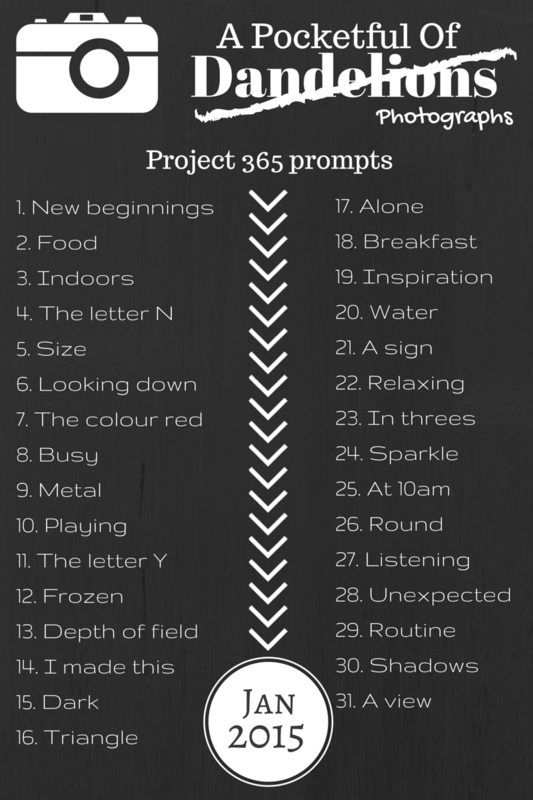 i love the idea of a 365 project, but haven’t managed to get far into one. I always find myself forgetting about it until just before bed… Or worse, just as I’m drifting off to sleep! Enjoy doing yours though, I will find you on Instagram!